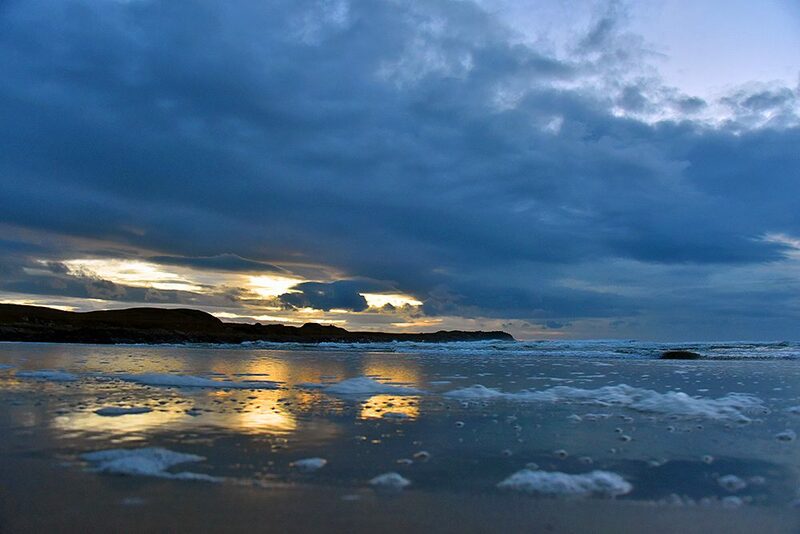 A dramatic November afternoon sky on the west coast of Islay, the bright gaps in the clouds reflecting in the wet sand of the beach in Saligo Bay. 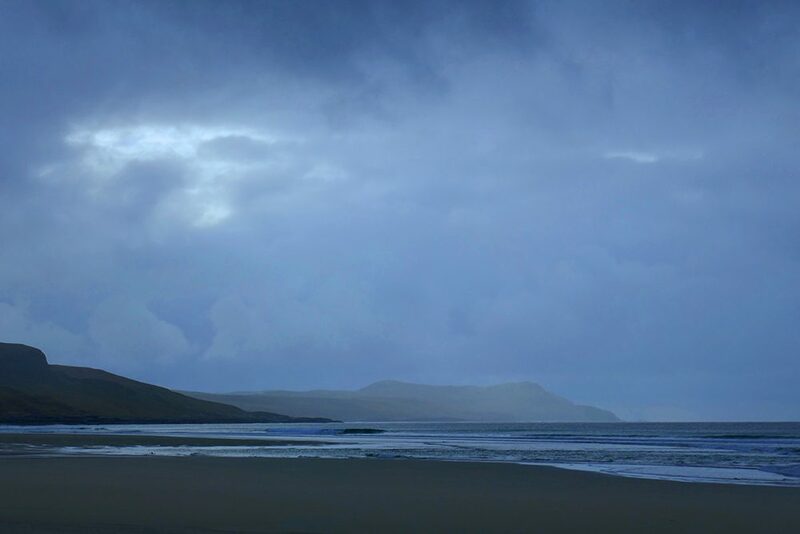 A wet November morning on the west coast of Islay, showers passing through Machir Bay. 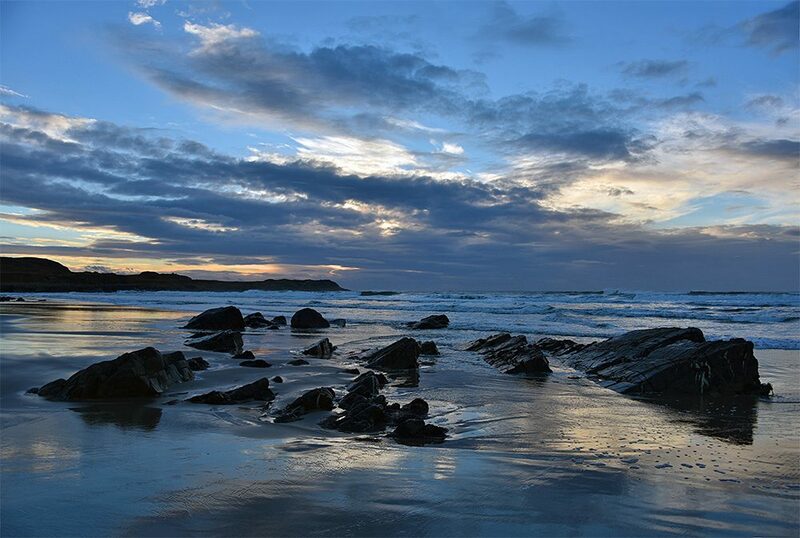 Some beautiful light on a November afternoon on Islay, rocks rising from the sand in Saligo Bay.